This post will tell you what to do and what to donate in the days of Pitru Paksh - Shraddh Paksh. This will help you to recover from Paternally Defect - Pitru Dosh Ki Astro Upay. 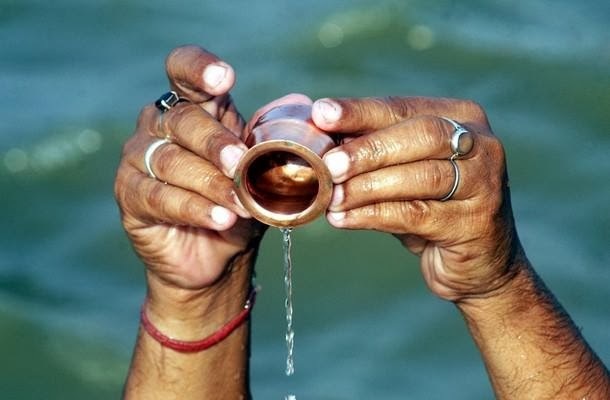 On our earlier post, we already mentioned you about the remedies of pitru dosh. Today i will show you the do's and don't in in these days. As per the Mahabharata, Subah or Sham [Morning and evening] time is best for the pitrudosh nivaran. Padmapuran ke anusar, pitru dosh nivaran karne se logo ko dhan, vidhya, santiti, long live life, good health ka sukh milta hai. How to Do in Paternally Days? Pitru dosh ke upay ekant and Gupt tarike se karne chahiye. Agar aap pind dan kar rahe hai to kisi ki najar nai padni chahiye us par. Agar najar padti hai to wo pind dan pitru o ko nahi pohochta. Pitru dosh ke upay kisi or k ghar nahi karna chahiye.Par aap kisi nadi [River front], Parvat, Tirth sthal pe jake kar sakte hai. Agar Pitru dosh ke dino main aapke ghar koi guest aata hai to unki seva kare.Agar Guest ka apman karte ho to aapko uska fal nahi milega. Sister, Brother in low, brother ke sath ache relation na ho to unko jarur invite kare bhojan ke liye. What to donate on Paternally Days? Vastro ka daan achuk kare.dan kar ke bina koi bhi tap, pray ya prathna adhuri hoti hai. Reshami ya cottan k kapde jo fate huve na ho uska daan achuk kare.Us se aapko ache se acha fal milega. Jhoothe bartan ghar ki ladkiyo [female] ko na uthane de.Jin ka pitru o ke sath relation ho wahi unke bartan uthaye. Poonam [Full moon] ya Chouthe [4th Day] ke din Pooja na kare. More remedies on Astro upay will be soon posted. I advise all of you to please share this for the people who do not know about this. May this help all the people who are affected with Paternally defect.